2 Why Israel is killing the U.S. Many believe the truth about the manner of Dr Kelly’s death has never been established properly. Some even fear that the 59-year-old, the world’s leading expert in biological and chemical weapons, was murdered. Of course, it would be easy to dismiss these sceptics as wild conspiracy theorists — but for the fact they include eminent doctors and MPs. The blanket of secrecy thrown over the case by the last Labour Government has only fuelled the sense of mystery. In January this year, it emerged that unpublished medical and scientific records relating to Dr Kelly’s death - including the post-mortem report and photographs of his body - had been secretly classified so as not to be made public for 70 years. Lord Hutton, who had been appointed by Blair, was responsible for this extraordinary gagging order, yet its legal basis has baffled experts accustomed to such matters. 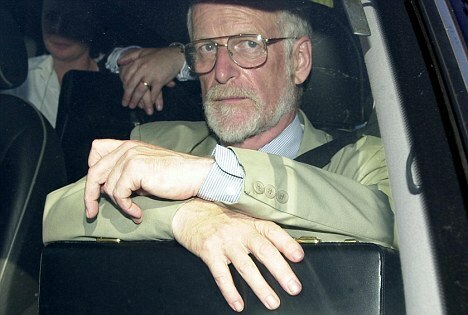 Against this shadowy background, we have conducted a rigorous and thorough investigation into the mystery that surrounds the death of David Kelly. And our investigation has turned up evidence which raises still more disturbing questions. Our new revelations include the ambiguous nature of the wording on Dr Kelly’s death certificate; the existence of an anonymous letter which says his colleagues were warned to stay away from his funeral; and an extraordinary claim that the wallpaper at Dr Kelly’s home was stripped by police in the hours after he was reported missing - but before his body was found. Until now, details of Dr Kelly’s death certificate have never been made public. But the certificate was obtained by a group of leading doctors who have spent almost seven years investigating the case; doctors who believe it is medically implausible that he died in the manner Hutton concluded and are alarmed at the unorthodox way the death certificate was completed. Near the top of all British death certificates is a box headed ‘Date and place of death’, in which a doctor or coroner should declare the exact location of a death, if it has been established. Dr Kelly’s certificate gives his date of death as July 18, 2003. It then states in reference to place of death: ‘Found dead at Harrowdown Hill, Longworth, Oxon’. Why was the word ‘found’ used? Why was the crucial question of ‘place of death’ not answered? The death certificate should be precise about the time, cause and location of death. 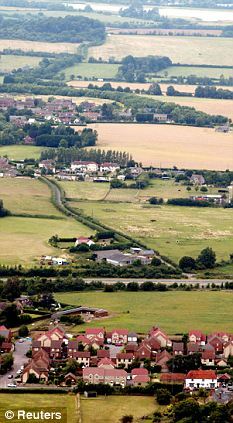 The doctors who have investigated the case believe the failure to answer this question leaves open the possibility that Dr Kelly died somewhere other than Harrowdown Hill, the wood where his body was discovered. If this was the case, they are concerned the law may have been subverted over Dr Kelly’s death. Any such irregularity would inevitably add to the pressure to reopen the case. Indeed, earlier this month it was revealed that Justice Secretary Ken Clarke and Attorney General Dominic Grieve, who have the power to undo Hutton’s 70-year gagging order and demand a coroner’s inquest into Dr Kelly’s death, are poised to re-open the case. To this day, the location where Dr Kelly died remains a mystery — yet it is surely the most basic requirement of an investigation into any violent or unexpected death. Nor was the question of the location of death raised at the Hutton Inquiry. 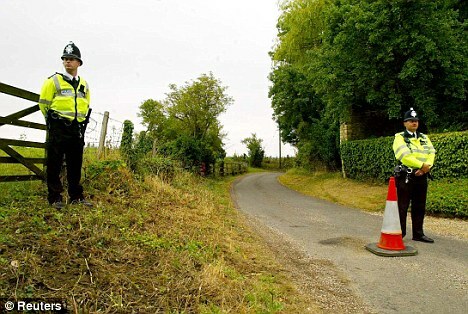 Amazingly, Chief Inspector (now Superintendent) Alan Young of Thames Valley Police, who headed the investigation into Dr Kelly’s death, did not even give evidence to the Hutton Inquiry. 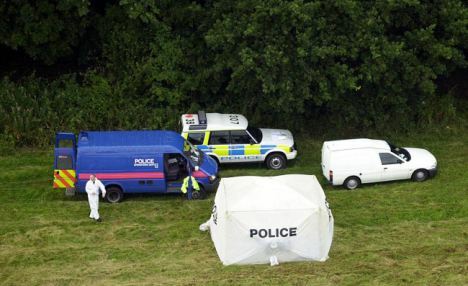 Significantly, it emerged via a Freedom of Information request in 2008 that a police helicopter with heat-seeking equipment which searched for Dr Kelly on the night he disappeared did not detect his body. 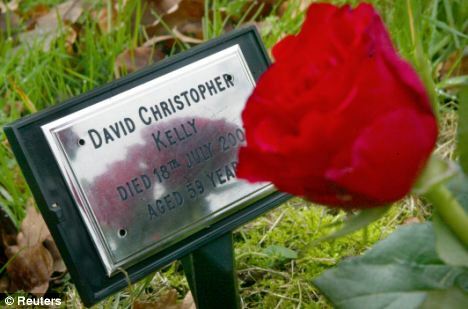 At 2.50am on July 18, 2003, the helicopter flew over the exact spot where Dr Kelly’s body was found by a search party less than six hours later, at 8.30am. Yet the pathologist who took Dr Kelly’s body temperature at 7pm on the day his body was found determined that Dr Kelly could still have been alive at 1.15am on July 18 — just 95 minutes before the helicopter flew over the patch of woodland. If that was the case, the body would have been warm enough to be picked up by the helicopter’s heat sensors. Why didn’t the helicopter pick it up? Was it because Dr Kelly did not die where his body was found? A full coroner’s inquest, which, by law, must be held following any sudden, unexpected or violent death, would have addressed these discrepancies. But no full inquest was ever held. 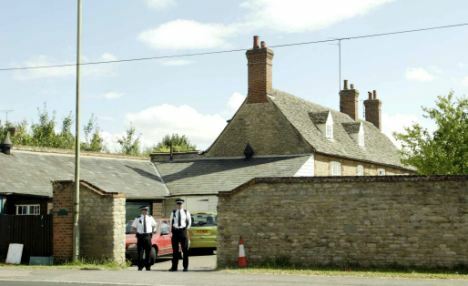 Oxfordshire Coroner Nicholas Gardiner opened an inquest on July 21. But on August 13 the then Lord Chancellor Lord Falconer, Tony Blair’s former flatmate, ordered it to be adjourned indefinitely. Falconer used an obscure law to suspend proceedings, and for the first time in English legal history he replaced an inquest with a non-statutory public inquiry to examine a single death, seemingly without any public explanation. In fact, it was the fourth. Using a public inquiry to replace a coroner’s inquest - under Section 17a of the Coroner’s Act - in order to examine a death has only ever happened in three other cases. And in each case, it was where multiple deaths have occurred. These were the incidents in which 31 people were killed in the Ladbroke Grove rail crash in 2000; the 311 deaths connected with Dr Harold Shipman; and the 36 deaths associated with the Hull trawler Gaul which sank in the Barents Sea in 1974 and whose case was re-opened in 2004. The public was led to believe that the death of Dr Kelly would be investigated more rigorously by the Hutton Inquiry than by a coroner. But it is now clear that the opposite was in fact true - for Hutton lacked the powers of a coroner. He could not hear evidence under oath; he could not subpoena witnesses; he could not call a jury; and he could not aggressively cross-examine witnesses. Astonishingly, on August 18, less than three weeks into the Hutton Inquiry, which opened on August 1, Dr Kelly’s death certificate was mysteriously completed and the cause of his death officially registered as haemorrhage. Put another way, five weeks before the Hutton Inquiry ended on September 24, 2003, and while the judge was still taking evidence about Dr Kelly’s death from witnesses, the official record of the cause of death was written and the case effectively closed. Misleadingly, the death certificate states an inquest did take place on August 14 - even though we now know no inquest actually happened. And extraordinarily, though it bears the signature of the registrar, it is not signed by either a doctor or a coroner as every death certificate should be. Dr Michael Powers QC, a former coroner and an expert in coroner’s law who is working to secure a full and proper inquest, said: ‘This death certificate is evidence of a failure properly to examine the cause of Dr Kelly’s death. It is evidence of a pre-judgment of the issue. In a coroner’s inquest the cause of death would not be registered until the whole inquiry had been completed. As we see here, the cause of death was registered before the Hutton Inquiry had finished. 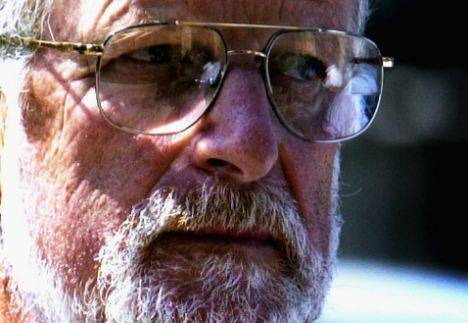 Since January 2004 a group of doctors has worked unstintingly for a fresh inquest to be held into David Kelly’s death because of the blatant shortcomings of the Hutton Inquiry. Christopher Burns-Cox. Their investigations have raised many doubts about the widespread assumption that Dr Kelly killed himself. A letter they wrote to the Press in January 2004 marked the first time anyone had raised the possibility in the mainstream media of Dr Kelly’s death not being a suicide. In 2009 they spent almost a year researching and writing a medical report which disputes Hutton’s assertion that Dr Kelly died from haemorrhage after severing the ulnar artery in his left wrist. The doctors argued that the wounds to Dr Kelly’s left wrist would not have caused him to bleed to death. In January this year they discovered that Lord Hutton made the extraordinary 70-year gagging order. Since then they have asked via their lawyers Leigh Day & Co to see the classified records, but under the last Labour Government, the Ministry of Justice - the department which holds them - repeatedly denied them access in the run-up to the last General Election. No reason was given. Liberal Democrat MP Norman Baker, who in 2007 wrote a book suggesting that Dr Kelly was murdered, used the Freedom of Information Act in January to apply to the Ministry of Justice to see the records. His request was also denied. Using section 41 of the Act - known as an ‘absolute exemption’ - the ministry said it was not obliged to reveal the information. Mr Baker, now a transport minister in the coalition government, has appealed against this decision. But he and the group of doctors are not the only ones who harbour suspicions about a cover-up of Dr Kelly’s death. Only last month one of the doctors, David Halpin, received an anonymous and carefully worded letter from someone claiming to be a relative of a former colleague of David Kelly’s at the Ministry of Defence. The correspondent said Kelly’s colleagues were ‘warned off’ attending his funeral - presumably by MoD officials, although this is not made explicit. 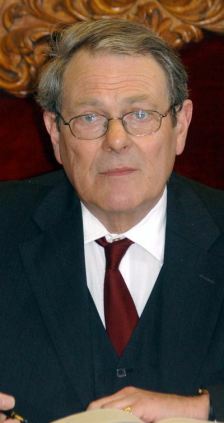 Similarly, in his recently published book ‘The End Of The Party’, the political commentator Andrew Rawnsley (who has close links with the Labour high command) claims that Geoff Hoon, Defence Secretary at the time of Kelly’s death, was so furious about being removed by Tony Blair as Leader of the House of Commons in May 2006 that he wrote out a resignation statement. Frustratingly, there are no more details in Rawnsley’s book about what Hoon was referring to - but Hoon visited Dr Kelly’s widow shortly after his death and has never publicly denied this explosive charge. Equally inexplicable is the attitude of Dr Nicholas Hunt, the forensic pathologist who attended the scene when Dr Kelly’s body was found on Harrowdown Hill. Dr Hunt’s duty as forensic pathologist is to help uphold the rule of law. In March 2004, after the Hutton Report was published, Dr Hunt contacted Channel 4 News and said he thought a full coroner’s inquest should be held. Yet mysteriously, he says now that - despite contacting the TV station - he has ‘maintained a silence on this [matter] on behalf of the [Kelly] family for a very long time’. Adding further to the case for a proper inquest is a new fascinating claim by a woman who has also worked closely with the doctors and helped Norman Baker with his book. Rowena Thursby, a former publishing executive who became fascinated with the case and started looking into it, told us that Dr Kelly’s widow, Janice, admitted to her that on the night Dr Kelly was reported missing in July 2003 - but hours before his body was found -Thames Valley Police asked her and her daughters to leave their house and wait in the garden. It later emerged that while the Kellys were outside, officers stripped wallpaper from their sitting room. Why would they have done that? Could they have been ‘sweeping’ his property for listening devices? official in the Ministry of Defence, Dr Kelly was arguably the world’s pre-eminent expert on biological and chemical weapons of mass destruction. We have established that he had access to the highest levels of the security services and was cleared to see the most highly classified intelligence. The claim that police removed wallpaper from his house has never been confirmed or denied by Thames Valley Police — they refuse to make any comments about the Kelly case. All these new revelations add weight to the list of unanswered questions surrounding Dr Kelly’s death, such as why were no fingerprints found on the knife with which he allegedly killed himself — even though he wore no gloves. Inquiry ended. It was not heard at the inquiry. 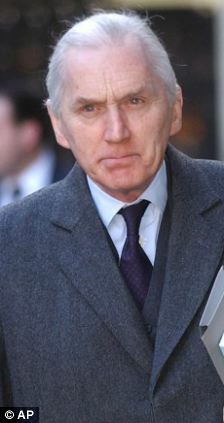 The doctors insist that concern about Dr Kelly’s death will continue to deepen until a full coroner’s inquest is heard. If one is finally granted, many will expect Tony Blair and Lord Falconer to be called to explain under oath why they went to such lengths to avoid the normal, rigorous and respected course of this country’s law. Until this happens their reputations will continue to suffer, as will the reputation of the British legal system. The unavoidable conclusion must be that a full coroner’s inquest is the only way the whole truth about the Kelly affair, however uncomfortable, will emerge. Why Israel is killing the U.S.
1. An unholy alliance of elements of the Crusader Christian Right, The imperialism machinery of the military industrial complex, and wealthy Pro Israeli business interests, particularly those that have substantial equity in the media, act as severe irritants for prolonging an unnecesary conflict with Islam and Arabs. Oil and Israel drive these issues. At the same time we must look at what is going on in Israel. Both Yitzakh Rabin and Yasser Arafat (apparantly) were murdered, the two men who nearly created a Palestinian State. Israel has been driven far to the right. In my view, Russian immigration has been a huge factor. Without US military support, Israel would have to agree to a two state solution. A political leader withdrawing support though would lose media coverage, other than attacks, on most of the networks. CBS is largely driven by Sumner Rothstein, a militant pro israeli imperialism. Fox News is driven by a neo con agenda, as is Disney ABC. It is extraordinary that NBC was absorbed by ComCast without more fanfare. This vertical integration is very disturbing. As a publicly traded company ComCast shares are basically held by the big private equity investment houses: Fidelity, Blackrock, T. Rowe Price and Vanguard, et al. The CEO Brian Roberts is Jewish and participated in the Maccabiah games as a squash player. "Being both an All-American squash player and of Jewish descent, he participated in the Maccabiah Games in Israel earning a gold medal with the U.S. squash team in 2005 and silver medals in 1981, 1985, 1997 and 2009. On October 21, 2012, Brian Roberts was honored by Maccabi USA as a Legend of the Maccabiah.? That leaves only CNN, that is Time Warner, not to either be neo-con run, nor with a strong Jewish management. For me, there was no surprise. From the very first day, I was convinced that Yasser Arafat had been poisoned by Ariel Sharon. I even wrote about it several times. It was a simple logical conclusion. First, a thorough medical examination in the French military hospital where he died did not find any cause for his sudden collapse and death. No traces of any life-threatening disease were found. The rumors distributed by the Israeli propaganda machine that Arafat had AIDS were blatant lies. They were a continuation of the rumors spread by the same machine that he was gay – all part of the relentless demonization of the Palestinian leader, which went on daily for decades. When there is no obvious cause of death, there must be a less obvious one. Second, we know by now that several secret services possess poisons that leave no routinely detectable trace. These include the CIA, the Russian FSB (successor of the KGB), and the Mossad. Third, opportunities were plentiful. Arafat’s security arrangements were decidedly lax. He would embrace perfect strangers who presented themselves as sympathizers of the Palestinian cause and often seated them next to himself at meals. Fourth, there were plenty of people who aimed at killing him and had the means to do so. The most obvious one was our prime minister, Ariel Sharon. He had even talked about Arafat having “no insurance policy” in 2004. What was previously a logical probability has now become a certainty. An examination of his belongings commissioned by Aljazeera TV and conducted by a highly respected Swiss scientific institute has confirmed that Arafat was poisoned with Polonium, a deadly radioactive substance that avoids detection unless one specifically looks for it. Two years after Arafat’s death, the Russian dissident and former KGB/FSB officer Alexander Litvinenko was murdered in London by Russian agents using this poison. The cause was discovered by his doctors by accident. It took him three weeks to die. Closer to home, in Amman, Hamas leader Khaled Mash’al was almost killed in 1997 by the Mossad, on orders of Prime Minister Binyamin Netanyahu. The means was a poison that kills within days after coming into contact with the skin. The assassination was bungled and the victim’s life was saved when the Mossad was compelled, after an ultimatum from King Hussein, to provide an antidote in time. If Arafat’s widow, Suha, succeeds in getting his body exhumed from the mausoleum in the Mukata’a in Ramallah, where it has become a national symbol, the poison will undoubtably be found in his body. Arafat’s lack of proper security arrangements always astonished me. Israeli Prime Ministers are tenfold better protected. I remonstrated with him several times. He shrugged it off. In this respect, he was a fatalist. After his life was miraculously preserved when his airplane made a crash landing in the Libyan Desert and the people around him were killed, he was convinced that Allah was protecting him. Once he was interviewed in my presence in Ramallah. The journalists asked him if he expected to see the creation of the Palestinian state in his lifetime. His answer: “Both I and Uri Avnery will see it in our life.” He was quite sure of this. Ariel Sharon’s determination to kill Arafat was well known. Already during the siege of Beirut in Lebanon War I, it was no secret that agents were combing West Beirut for his whereabouts. To Sharon’s great frustration, they did not find him. Even after Oslo, when Arafat came back to Palestine, Sharon did not let up. When he became Prime Minister, my fear for Arafat’s life became acute. When our army attacked Ramallah during “Operation Defensive Shield” they broke into Arafat’s compound (Mukata’a is Arabic for compound) and came within 10 meters of his rooms. I saw them with my own eyes. Twice during the siege of many months my friends and I went to stay at the Mukata’a for several days to serve as a human shield. When Sharon was asked why he did not kill Arafat, he answered that the presence of Israelis there made it impossible. The day Aljazeera’s conclusions were published this week happened to be the 30th anniversary of my first meeting with Arafat, which for him was the first meeting with an Israeli. It was at the height of the battle of Beirut. To get to him, I had to cross the lines of four belligerents – the Israeli army, the Christian Lebanese Phalange militia, the Lebanese army and the PLO forces. I spoke with Arafat for two hours. There, in the middle of a war, when he could expect to find his death at any moment, we talked about Israeli-Palestinian peace, and even a federation of Israel and Palestine, perhaps to be joined by Jordan. The meeting, which was announced by Arafat’s office, caused a worldwide sensation. My account of the conversation was published in several leading newspapers. In the many meetings I held with Arafat since then, I became totally convinced that he was an effective and trustworthy partner for peace. I slowly began to understand how this father of the modern Palestinian liberation movement, considered an arch-terrorist by Israel and the US, became the leader of the Palestinian peace effort. Few people in history have been privileged to lead two successive revolutions in their lifetime. When Arafat started his work, Palestine had disappeared from the map and from world consciousness. By using the “armed struggle” (alias “terrorism”)’ he succeeded in putting Palestine back on the world’s agenda. His decision to start peace negotiations with Israel went totally against the grain of the Palestinian National Movement, which considered Israel as a foreign invader. It took Arafat a full 15 years to convince his own people to accept his line, using all his wiles, tactical deftness and powers of persuasion. In the 1988 meeting of the Palestinian parliament-in-exile, the National Council, his concept was adopted: a Palestinian state side-by-side with Israel in part of the country. This state, with its capital in East Jerusalem and its borders based on the Green Line has been, since then, the fixed and unchangeable goal; the legacy of Arafat to his successors. Not by accident, my contacts with Arafat, first indirectly through his assistants and then directly, started at the same time: 1974. I helped him to establish contact with the Israeli leadership, and especially with Yitzhak Rabin. This led to the 1993 Oslo agreement – which was killed by the assassination of Rabin. When asked if he had an Israeli friend, Arafat named me. This was based on his belief that I had risked my life when I went to see him in Beirut. On my part, I was grateful for his trust in me when he met me there, at a time when hundreds of Sharon’s agents were looking for him. But beyond personal considerations, Arafat was the man who was able to make peace with Israel, willing to do so, and – more important – to get his people, including the Islamists, to accept it. This would have put an end to the settlement enterprise. That’s why he was poisoned.